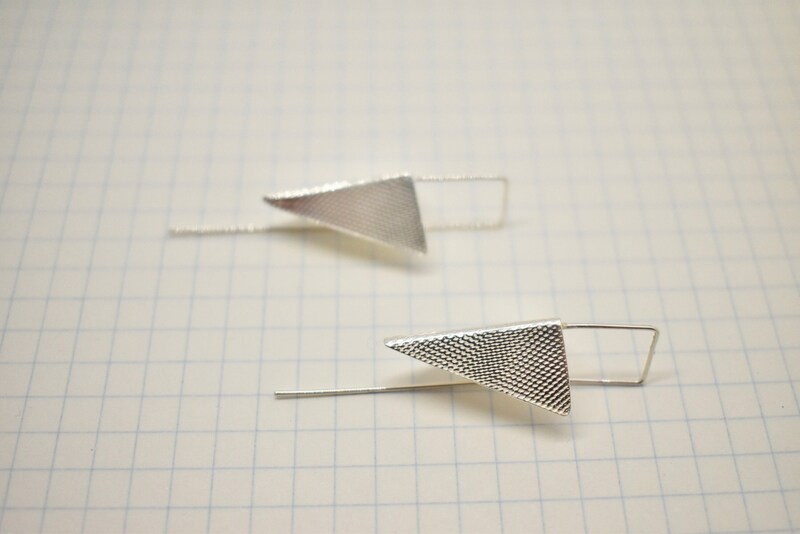 Textured Handmade Sterling Silver Arrowhead drop earrings. 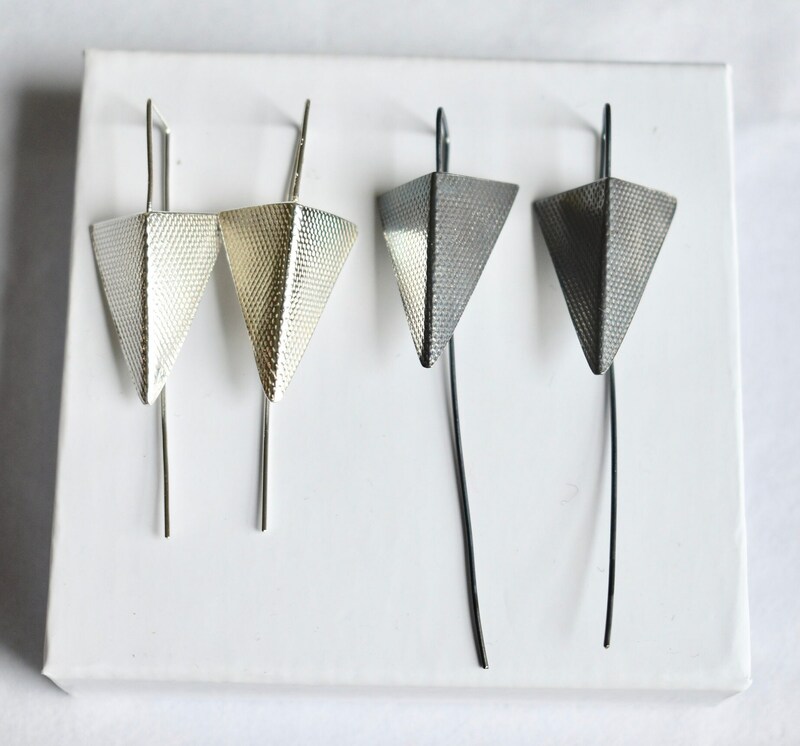 Available in either oxidised sterling silver 925 or polished sterling silver 925. 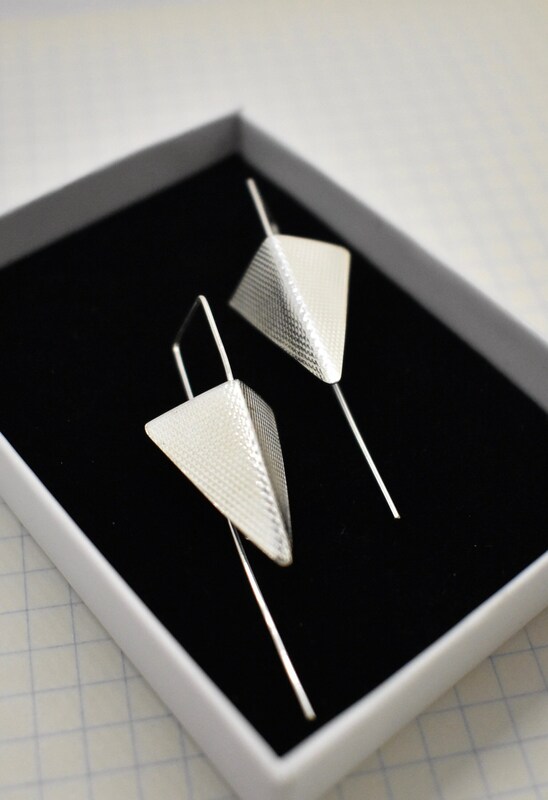 This style is elegant, stylish and wearable. 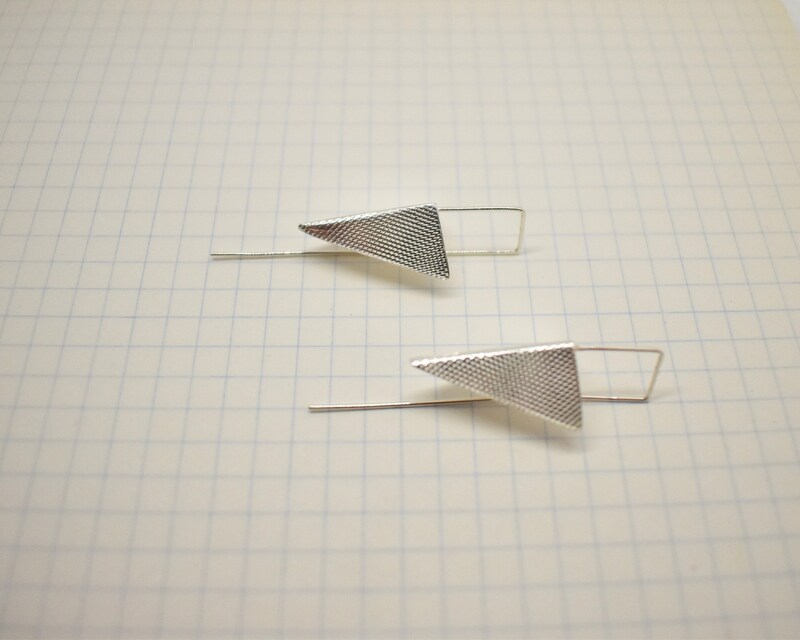 These little beauties are mini sculptures for your ears. 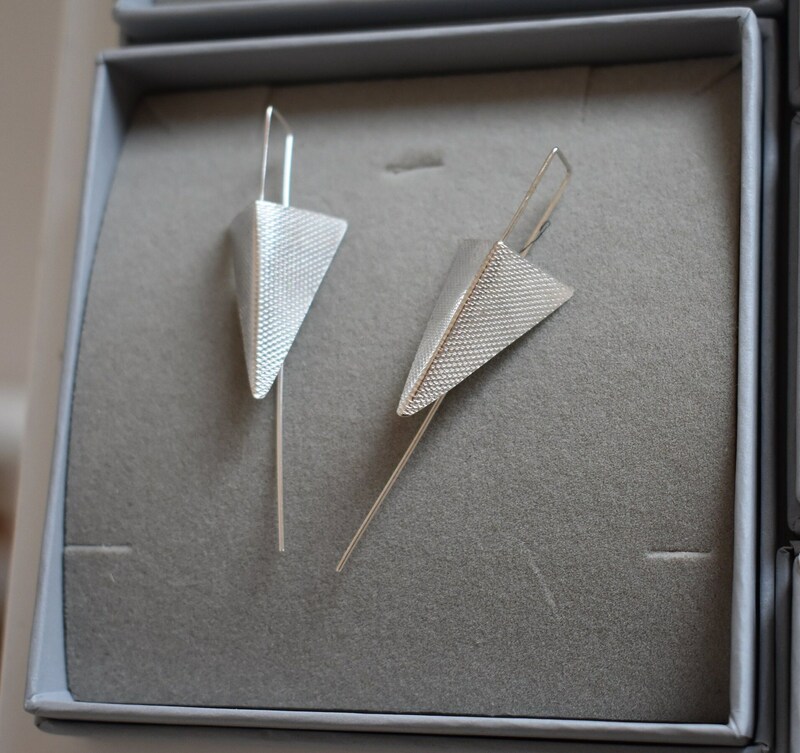 The earrings pictured in this listing are for display purposes as all new purchases will be made to order. Please expect around a one week lead time from placing your order until dispatch (this doesn't include additional shipping time), but I always aim to make and post as soon as possible. Shipping: Your item will be sent as a small parcel. 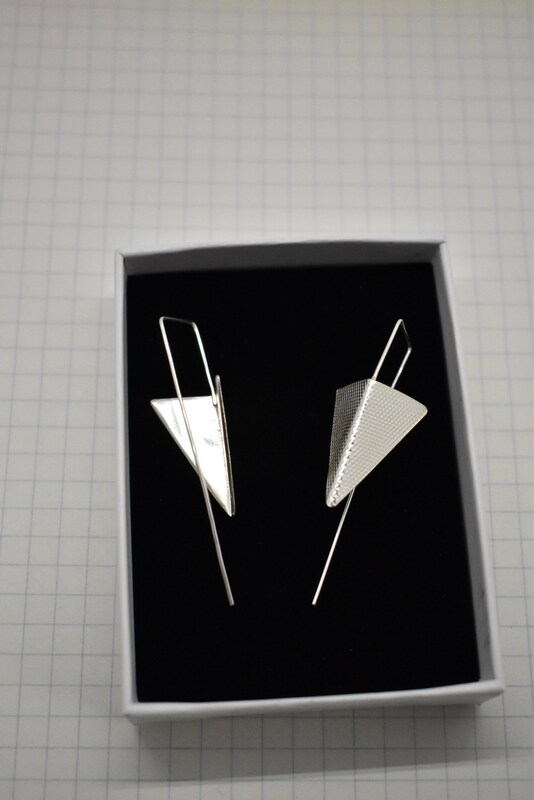 If you live within the UK, your item will be sent via Royal Mail Second Class Signed For. For all other orders your item will be sent via Royal Mail International Tracked & Signed. I do not ship to Australia. 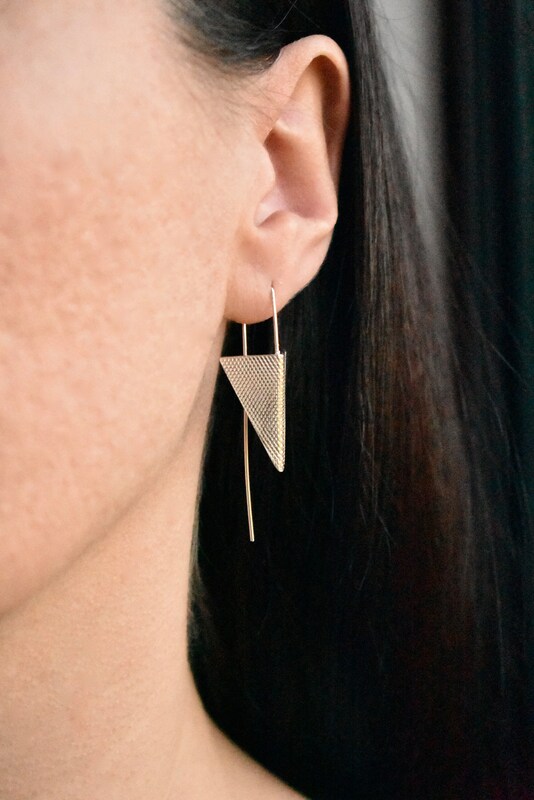 Sterling Silver handmade Geometric mid fold Triangle drop earrings earings. 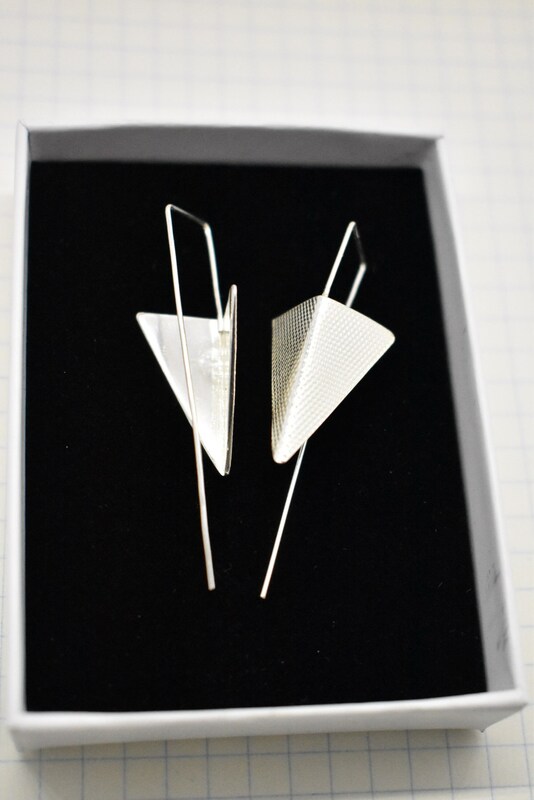 Unique Minimal jewellery, Arrow earrings Sculptural earrings, Statement earrings. 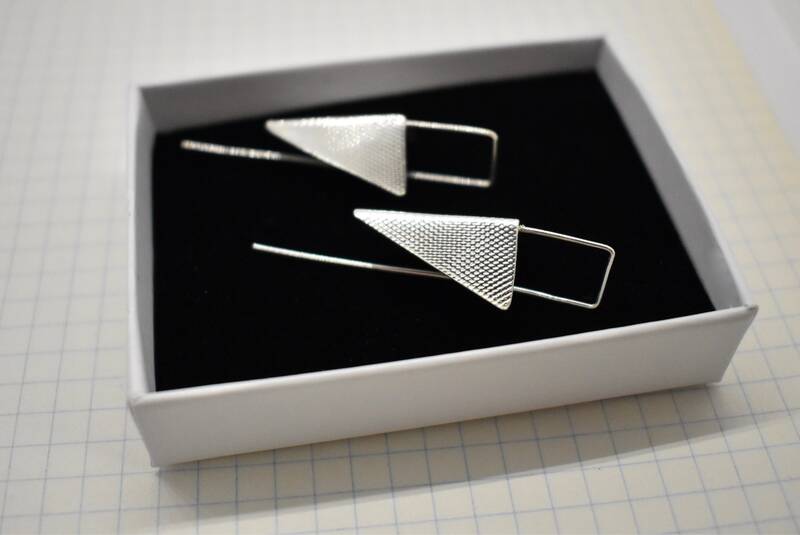 Beautifully crafted pieces. Arrived within 10 days of placing the order, Classy packaging.